enclosing over 60 grottos inscribed with the 'Stone Library', from 22,000 BCE. Where was the origin of civilisation? "We migrated to where we are living now thousands of years ago, but they were unable to write down from where because they did not know how to write then. Later on inquisitive scribes and archivists in the royal palace studied the orally transmitted information in an attempt to find out about the past. Our people came to this land from a mountainous country to the northeast. But it is also said that some of them had come via sea from a land called Dilmun in the east. And the reason behind this migration is said to be the onset of an unexplained drought in their warm and rainy country. Great Enlil had some of us 'darkheads' settle here.... According to rumours and the results of my research as to why we have called ourselves 'darkheads' I found out that before our forefathers migrated here, blonde haired and blue eyed people were living next to their country. I cannot visualise a person with blonde hair and blue eyes. And I don't think it would be nice. I have not seen any person like that in my country". 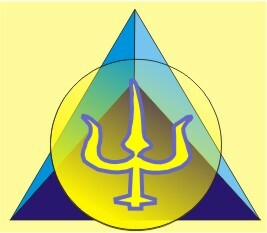 Aratta is now recognised as having been the world's most ancient (known) civilisation. It developed in the steppes north of the Black Sea (in modern Ukraine) long before the Sumerian civilisation originated, and from there it radiated its culture into India, Mesopotamia, Egypt, Western China and across Europe. Relics of Aratta are increasingly identified in Ukraine but it is perhaps most famously recorded in the grottoes of Stone Grave (Kamyana Mohyla, above), a hill of heaped megalithic sandstone slabs located beside the River Molochna near Melitopol, north of the Azov Sea. Unknown to the Sumerian historian, Lu-dingir-Ra, writing was well established in Aratta long before it spread to Sumer. There, at Shu-Nun (the Arattan name of Kamyana Mohyla), as early as 12,000 BCE, priest rulers inscribed a rich petroglyphic library of their law codes, deities, culture and histories that remained unknown until discovered in 1889. Although the petroglyphs at Kamyana Mohyla began to be recognised as proto-Sumerian texts in the 1930s it was not until the 1990s that they began to be deciphered by the brilliant Sumerologist, Anatoly Kifishin. Only now, following Ukraine's Declaration of Independence in 1991, is the West beginning to learn that the cradle of civilisation lay not in ancient Sumer, as has so commonly been stated, but that the foundations of Indo-European civilisation began thousands of years earlier on the steppeland that is now modern Ukraine. Aratta was the semi-mythical homeland of the Sumerian civilisation. The general implication of the Aratta cycle of myths recorded in cuneiform writing indicates that Aratta played a seminal role in the development of religion in Sumer, as well as in the construction of its cult structures, trade and diplomacy. Contact between these two states was claimed to be of such importance that writing was developed specifically for them. 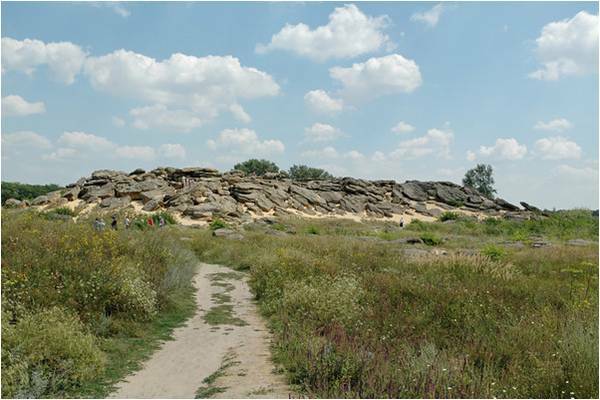 Kamyana Mohyla is a colossal mound of huge sandstone slabs that stand as a sanctuary hill above the flat southern Ukrainian Steppeland. Here, in its multitude of grottoes are Palaeolithic petroglyphs, reflecting the cultural origins of Man's earliest myths, together with proto-cuneiform characters that have led to this being called the 'Stone Library'. Whilst many Western texts still refer to Sumer as being the oldest civilisation with writing, Ukraine has something far older - something that is truly of global significance. 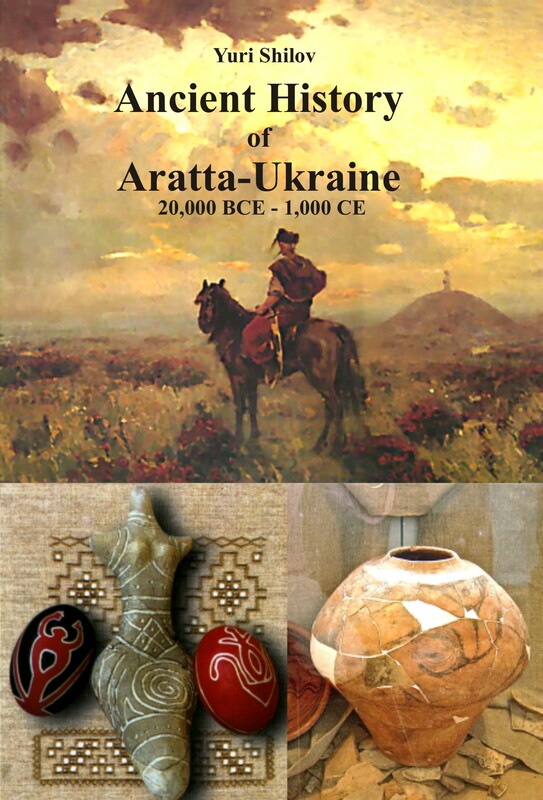 In the authoritative Ancient History of Aratta-Ukraine, now available in English translation, Dr. Yuri Shilov, not only describes the palaeolithic origins of Aratta and the foundation of Indo-European civilisation but also highlights the precepts of Aratta that are relevant to all modern civilisations. Richly illustrated with figures, maps, tables and colour photographs, and generously referenced, this book is intended not only for historians and scientists, theologians and politicians but also for a more general, worldwide readership.